Outraged by the repeated killings of unarmed black men amid the excessive and often gratuitous brutality at the hands of American law officials, and further angered by the misleading, sensationalized media coverage that has followed, SEETHER front man Shaun Morgan and video director Sherif Higazy teamed to create “Nobody Praying For Me”, an immersive, interactive new video which has made its debut and you cana check it out on KNAC.COM HERE or you can check out the interactive version right HERE. The video’s provocative, ripped-from-the-headlines visuals, accessed on the home screen via five individually clickable points-of-view, are underscored by the track’s emotive musicality and poignantly painful lyrics. Inspired by incidents such as the killing of Michael Brown in Ferguson, Missouri in 2014, the video takes the viewer through a fictitious, yet all too familiar set of circumstances shot from five divergent perspectives. The subject of “Nobody Praying For Me” is Jake Young, an ordinary black teen who, in one angle, is seen moving through a normal Tuesday—eating at home, riding his bike to his girlfriend’s, smoking pot and sharing a 40oz. with two buddies—until a case of mistaken identity and a ghastly miscalculation goes fatally awry. From a second vantage point, we catch amiable Officer Holloway on his daily beat with his partners, when a robbery call comes in, the suspect an “African-American male in a dark jacket, on foot.” The fates of the two intertwine when the officer’s seemingly good-natured questioning suddenly gives way to pre-conceived biases, adrenaline, struggle and then a flash. Three additional points of view—a video from a bystander’s cellphone, and coverage from two onsite news organizations—one liberal, the other conservative--are additional storylines clickable from the home screen of the “Nobody Praying for Me” video. The “Nobody Praying For Me” video is not the first time SEETHER has expressed a socially conscious worldview. The band’s third annual Rise Above Fest took place this year on May 9th at Darling’s Waterfront Pavilion in Bangor, Maine. The daylong concert benefits suicide prevention and mental illness, which touched Morgan’s family after his brother committed suicide in 2007, and inspired the hit song “Rise Above This”. This year’s headliners included GODSMACK, SEETHER and SLASH FT. MYLES KENNEDY & THE CONSPIRATORS, with proceeds going to SAVE (Suicide Awareness Voices of Education). 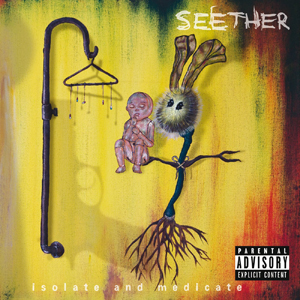 SEETHER—singer/guitarist Shaun Morgan, bassist Dale Stewart and drummer John Humphrey—formed in 1999. The multi-platinum rock band has released seven albums. “Nobody’s Praying For Me” is the third single off their most recent, 2014’s Isolate And Medicate (Bicycle Music Company/Concord), produced by Brendan O’Brien.